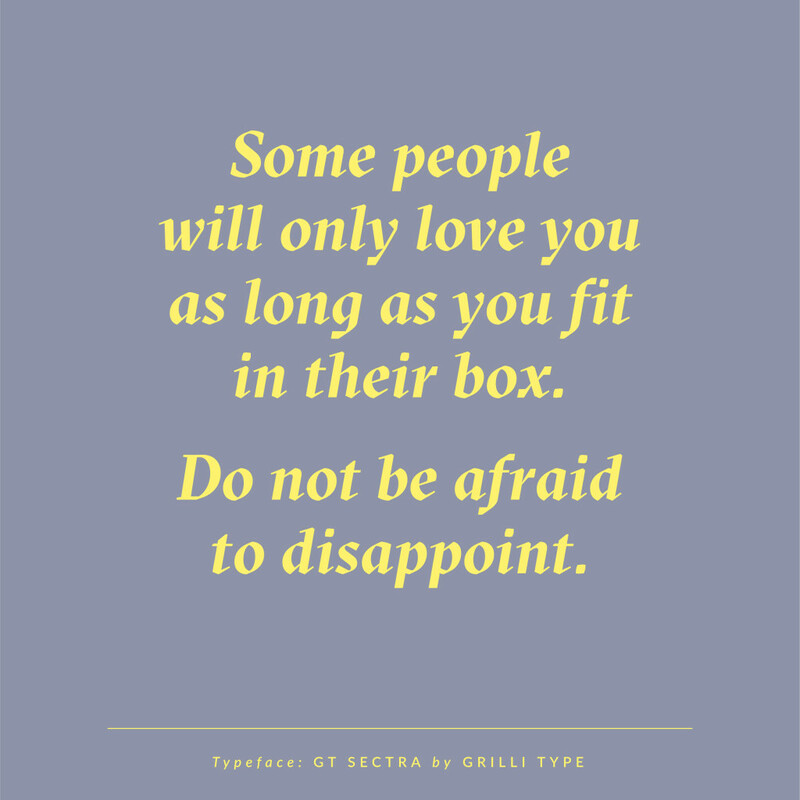 The typeface is a really versatile one as it’s available in three subfamilies: GT Sectra, GT Sectra Fine and GT Sectra Display, with each available in five weights with matching italics. 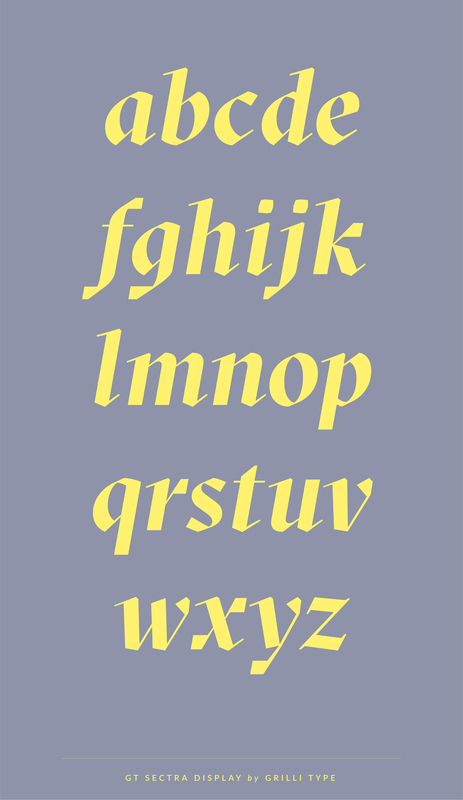 Sectra has a very low contrast between thick and thin strokes. Its text color is rather dark and the low contrast makes it work surprisingly well in very small sizes and longer text passages. 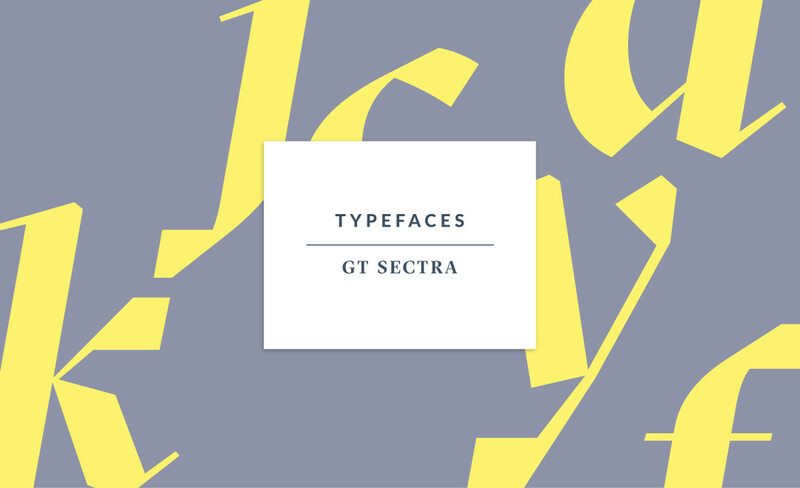 Sectra Fine has a higher contrast that gives the typeface a more elegant feeling. 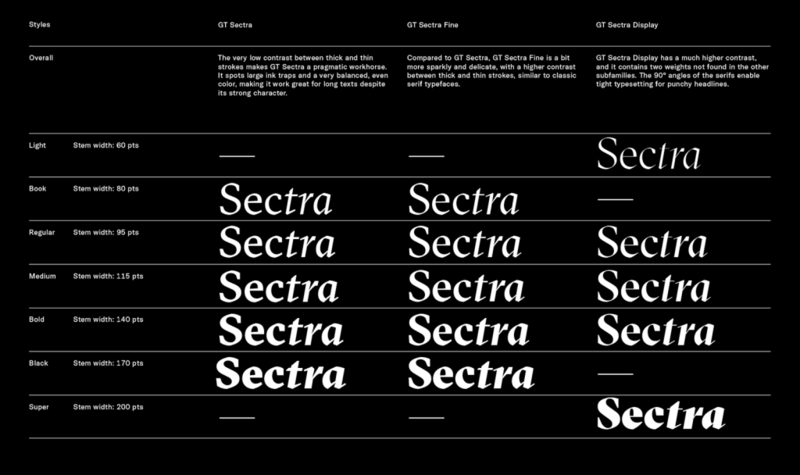 It works great for headlines and is the perfect companion to Sectra. Sectra Display becomes truly eye-catching at lager sizes. 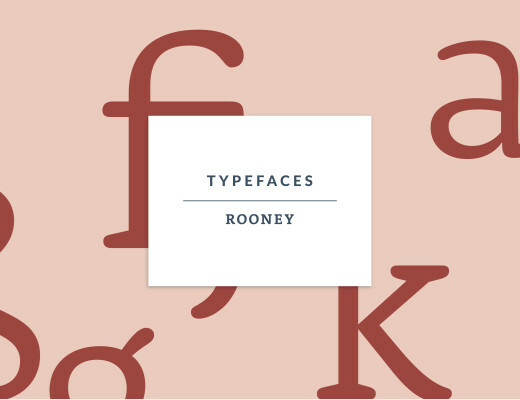 This subfamily takes all the design features to their most extreme, getting rid of curves wherever possible. 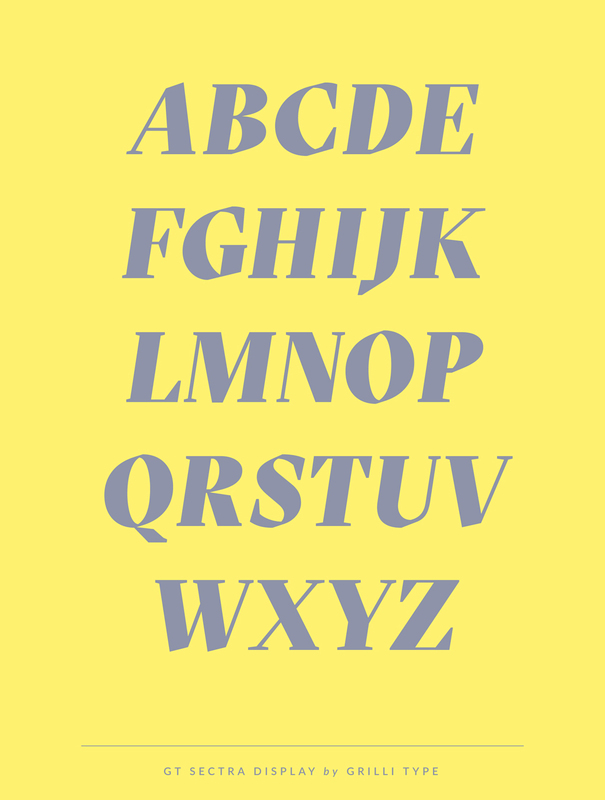 The lowercase “r” for example is purely angular and does not contain any curves. 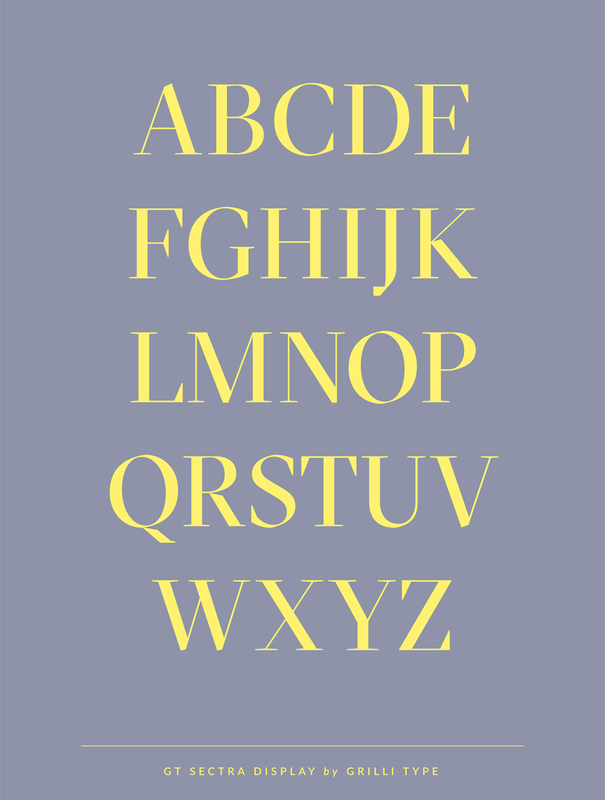 All letters have a very high contrast and a more condensed design. 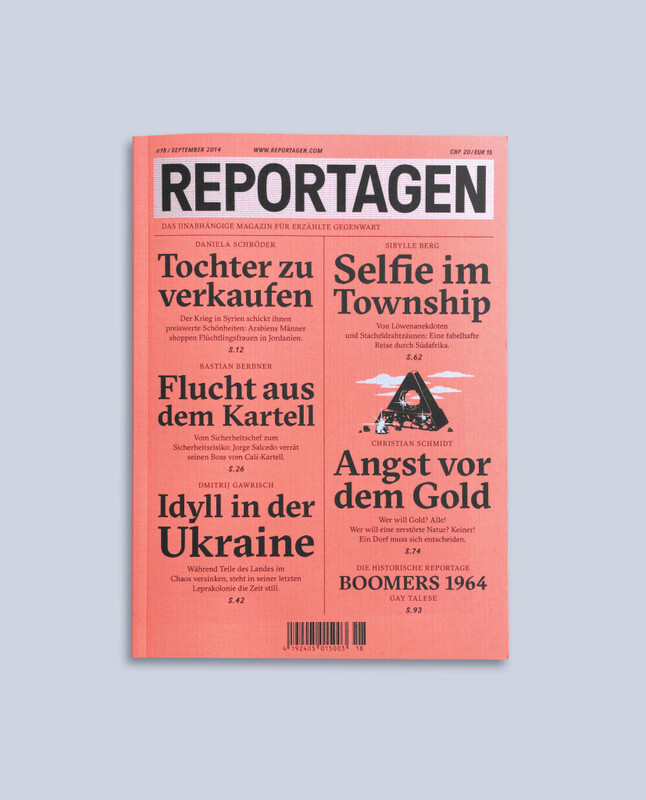 The typeface was originally designed for the Swiss journalism magazine Reportagen. 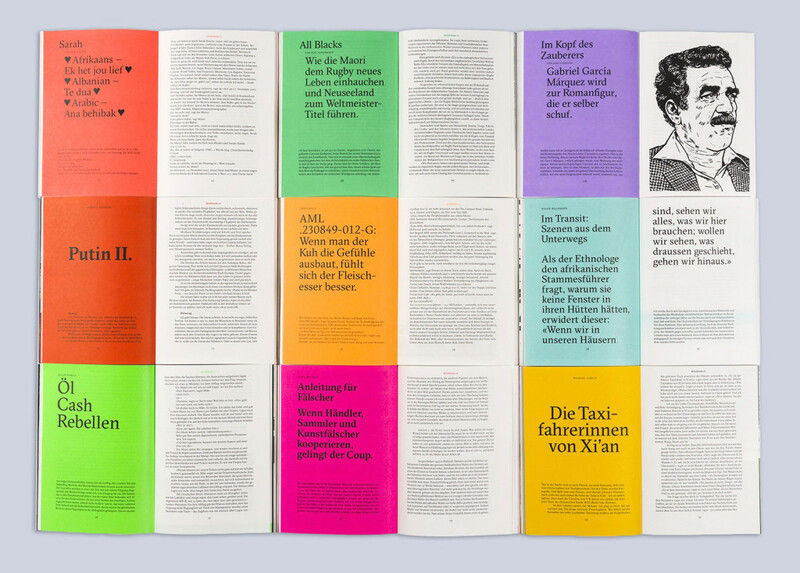 Since the magazine is very text heavy, the typography plays a major role. It serves primarily the content, but on another level also as the base of the magazine’s visual identity. You can see this already on the covers. 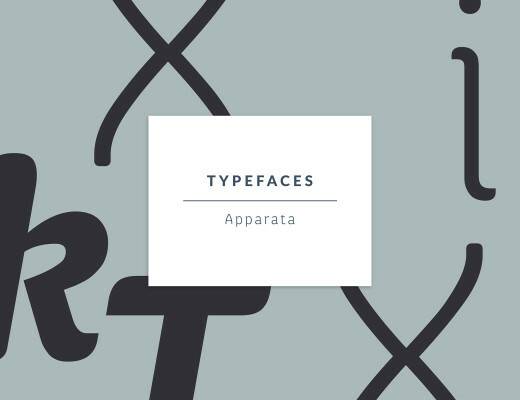 They are designed with typography only, accompanied by a small illustration. 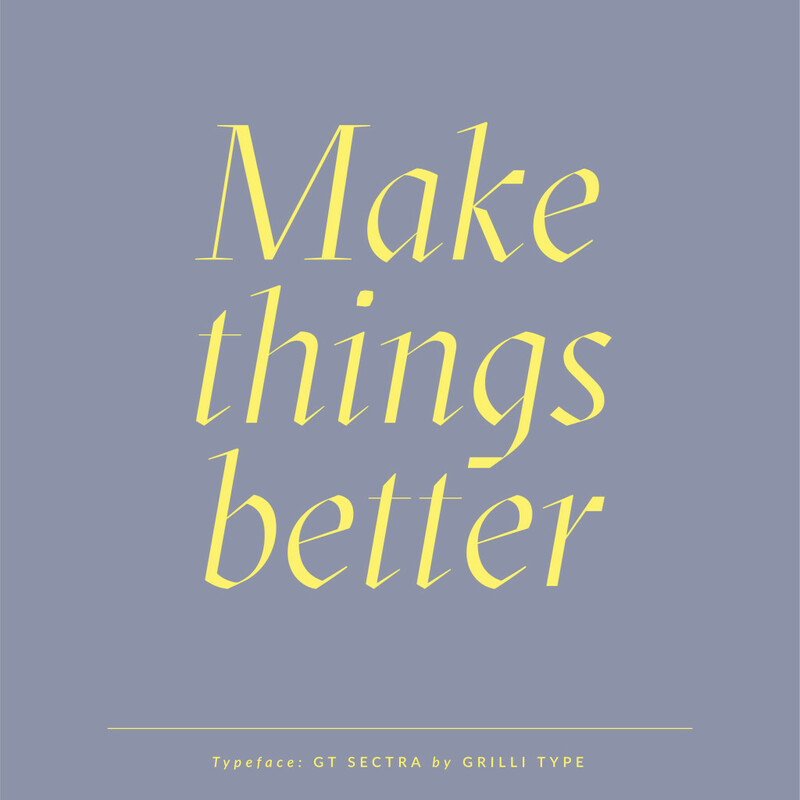 Grilli Type is an independent Swiss type foundry. 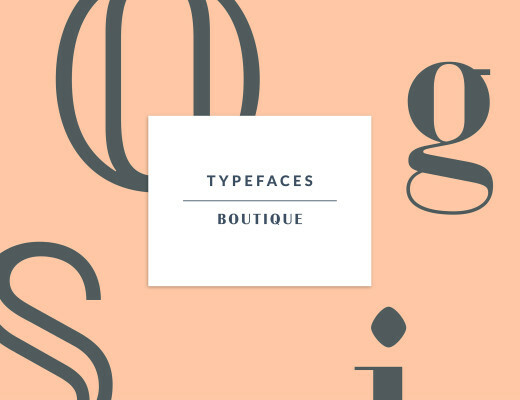 They offer original retail and custom typefaces with a contemporary aesthetic in the Swiss tradition. 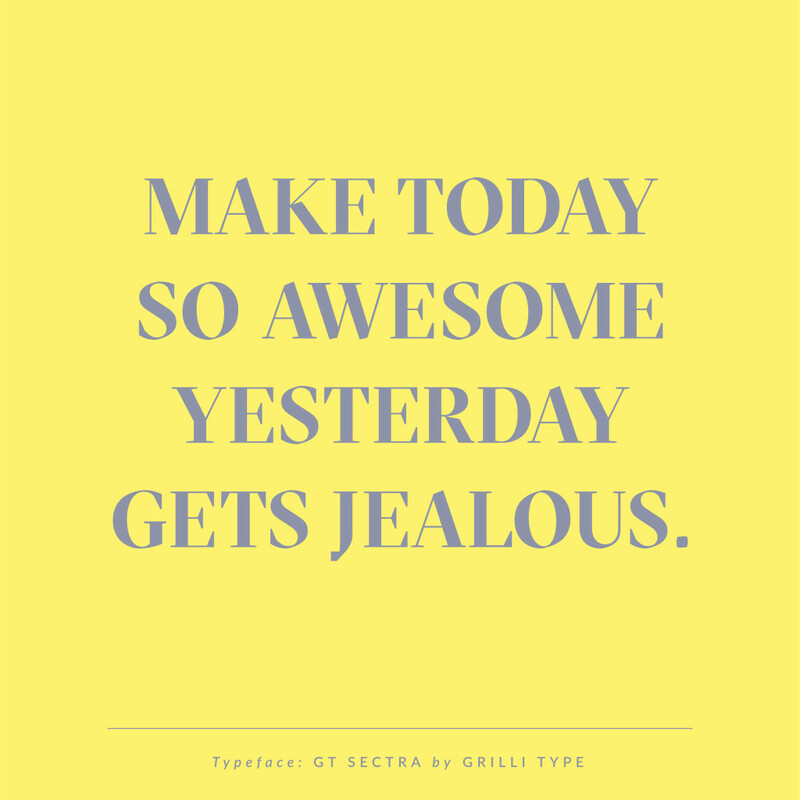 And now comes the best: Grilli Type is offering free trial versions for all their typefaces! Try them out and let me know what you think! This is really amazing! So creative love it thanks for sharing! I’m happy you like it Susan!